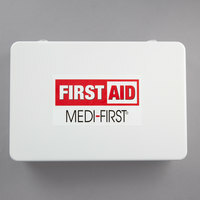 Choose a small commercial first aid kit for a low-volume facility, or keep a first aid cabinet in your high-traffic kitchen. 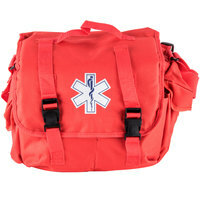 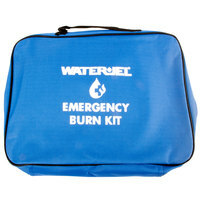 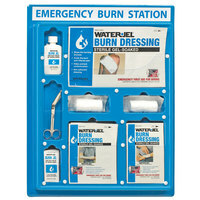 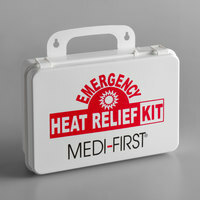 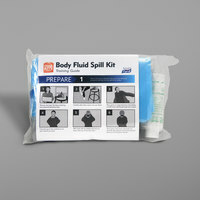 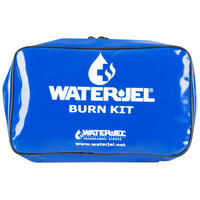 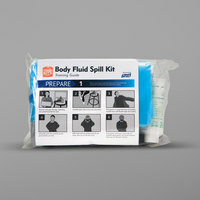 We offer burn relief kits, emergency and disaster kits, and travel kits to suit the size of your business. 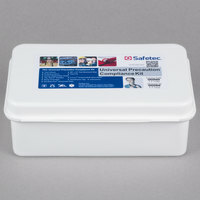 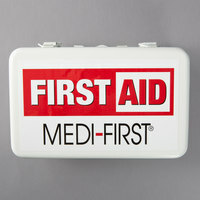 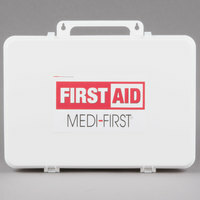 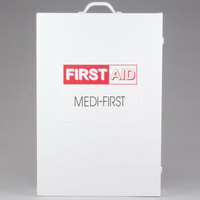 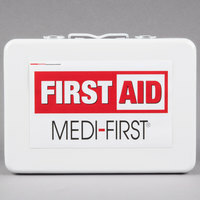 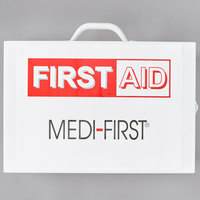 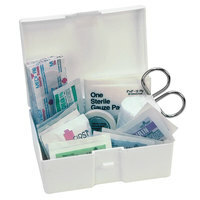 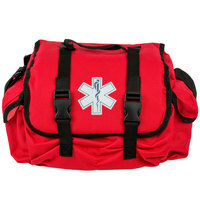 Keep first aid kits in your schools, office buildings, janitor closets, healthcare facilities, or any public place. 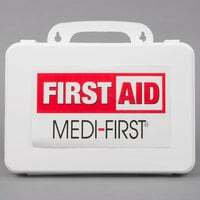 This way, in the event of any accidents, you can be prepared to help anyone who's injured. 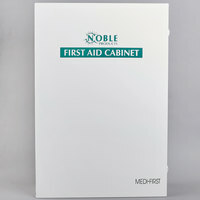 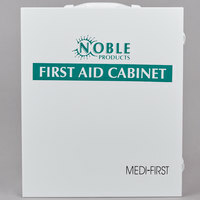 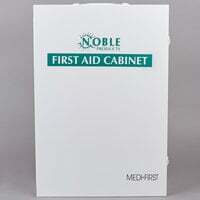 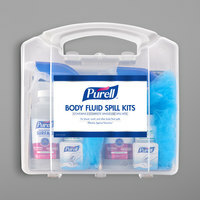 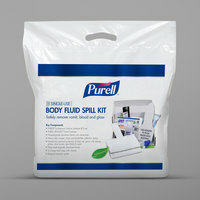 Also make sure to check out other great items from Noble Products, Medi-First, Medique and Purell. 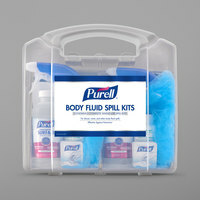 Login or enter your email to be instantly sent the price! 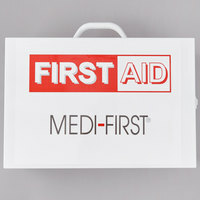 It's crucial to have first aid kits available at your business in case someone cuts a finger, gets burned from hot steam, or suffers any other kind of injury. 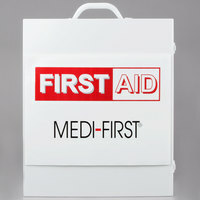 Outside of foodservice businesses, schools, healthcare facilities, and public buildings should all have a first aid pack on hand. 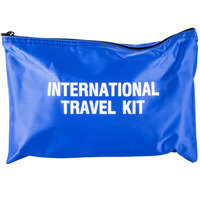 Choose from small travel kits or giant cabinet kits depending on your needs. 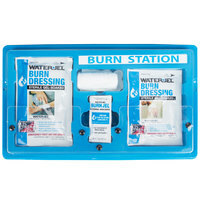 For more safety products, check out our supplies of sanitizing wipes, welding gloves, and fire extinguishers. 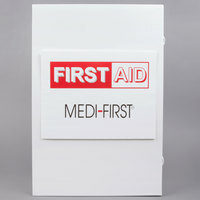 If you're wondering where to buy first aid kits, we have a large selection of first aid kits for sale at the lowest prices.